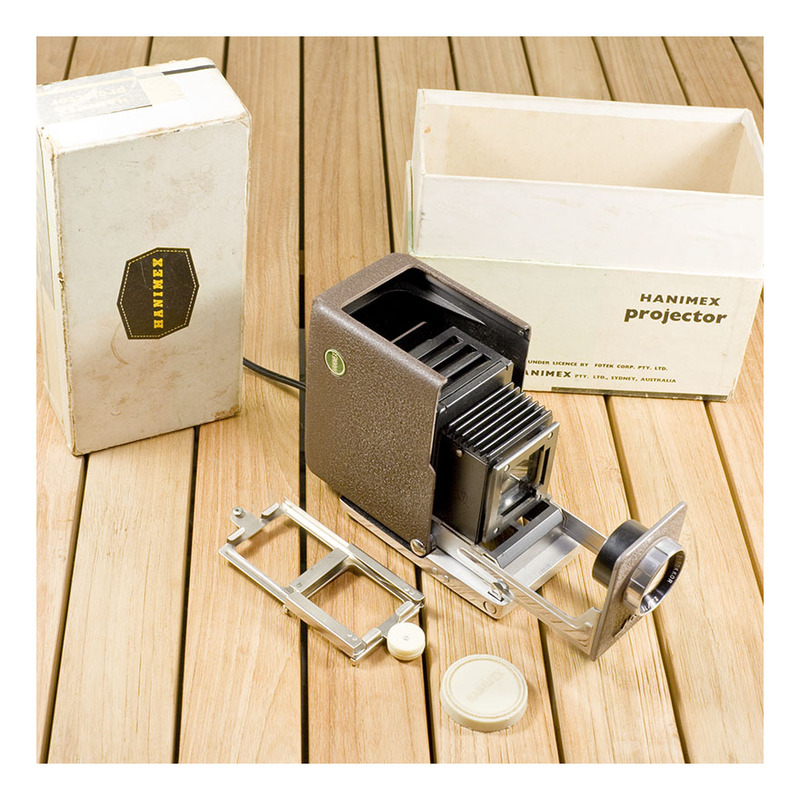 This neat little projector folds out to show slides in both 16mm and 35mm slide formats. It has a P-Rokkor 2.5/40mm lens and uses a 75watt lamp; I have it on good authority that replacement lamps are still available. The projector works a treat – it’s been checked over by an electrician – and has an ‘automatic’ slide feed to allow you to load two slides at a time [!!] It comes in its original box, which sadly has been mended with masking tape. it is cool, isn’t it? and it works a treat, too. it folds up into a minute box- great looking and great design. I was thinking along those lines…about the design of it and how interesting it looks. The fact that it is in working condition is like a super bonus. I’m sure any buyer/collector would get a lot of enjoyment out of piece like this.